The first one looks pretty familiar to me. 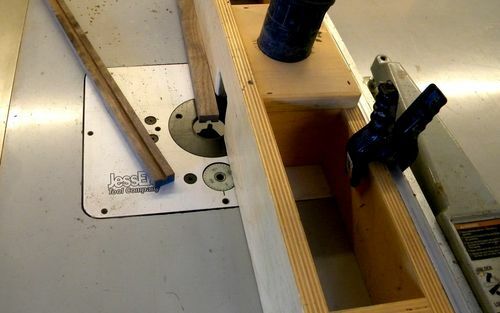 I have a reasonably similar jig that I use on my Unisaw at home and on my ShopSmith in Az. They both work great. Lots of ways to build them but you gotta love using your tablesaw fence as a router table fence as well. Both great tips. Thanks tyvekboy. 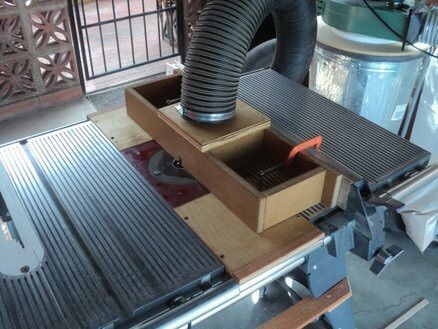 I don’t yet have a router built into my table saw extension, but it is on the list. This looks like a great way to do the fence. FW should publish your fence setup . Very helpful tips. Thanks for sharing this. -- I wish I was the kind of person my dog thinks I am!